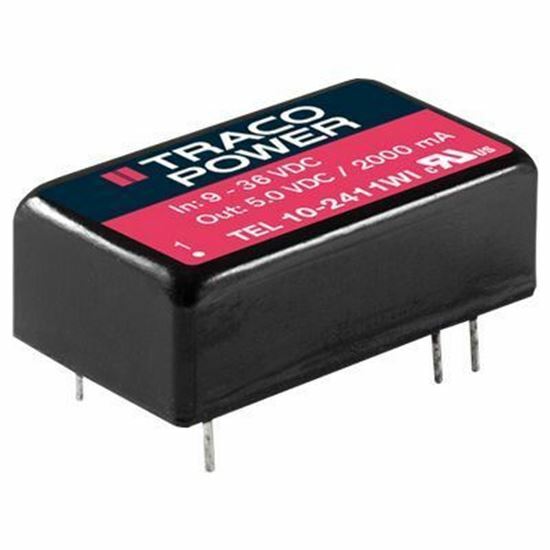 The TEL 10WI series of ultra-compact DIP-16 package DC/DC converters from TRACO Power is rated for 10 watts. It is one of the highest power density DC/DC converters available on the market with 3.83 W/cm3. This TEL 10WI series of TRACO Power DC/DC converters features an ultra-wide 4:1 input voltage range and extremely wide operating temperature range of -40~+88°C. The models within the TEL 10WI series are offered in single or dual DC outputs. TRACO Power's TEL 10WI series is constructed with a 6 side shielded metal case and an insulated base plate. The TEL 10WI series is equipped with the latest EN 55032 Class A filter for professional audio, video, audio-visual and entertainment lighting control products. The TEL 10WI series is approved for both IEC/EN/UL 60950-1 and IEC/EN/UL 62368-1.